Cebu is indeed a place blessed with such gems. From the mountains to seas to rivers and waterfalls, a weekend is never enough to completely explore the island. The frolicking soul longed for a fantastic Cebu adventure since I rested for a few weeks. 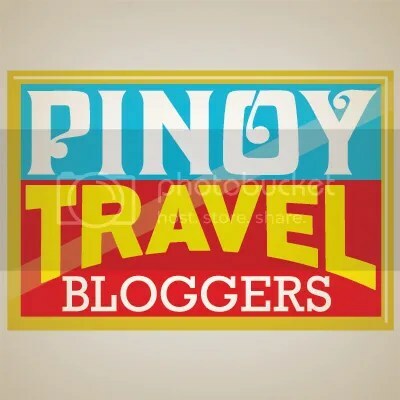 I was invited by my blogger friends to join in a jam-packed weekend of adventure going to the South of Cebu. I’m super thrilled when it comes to this because I knew that Cebu has a lot to offer. We embarked on an adventure with a flexible itinerary but it was all made possible by excellent tour services of Travels by Omnia Bellus. The powerful van and the enthusiastic spirits of 6 adventurers were able to visit these amazing destinations that made our amazing weekend! The sleepy heads of the adventurers were awakening up when we reached our first stop. Carcar City is very well-known for its lechon and chicharon. It was past 6 in the morning and we bought a kilo of lechon that’s supposed to be our viand for breakfast but latter saved it for lunch which is more appropriate. Buntag sayo mag-pa-highblood na? hahaha! Just a few walks from the market where we bought our lechon is the rotunda. This landmark is popular for motorists since this connects roads going to Sibonga and Barili which is going to the other side of Cebu. The gang took some photos of the Instagrammable place and hopped into the van for the next destination. Few kilometers from Carcar City is the municipality of Barili. Molave Milk Station is a quick stop for people who want to take their breakfast. They are known for their delectable dairy products like milk and ice cream. The station is also undergoing some renovations making future visits more exciting. They also offer affordable meals thus the group had the breakfast in the station. Their food is that great that it filled our tummies ready for a long day of adventure. Mantayupan Falls is renowned for being the tallest waterfall in Cebu. It is located in the municipality of Barili, few kilometers from our second stop. The place is developed thus making the experience for tourists more convenient. It has two levels and the second level is considered the tallest. There’s an entrance fee of P20 and a rental fee of P50 for those who wanted to use life jackets. The first level of the waterfall is a bit wide and has three separated drops. There’s nothing really special for the first level. In fact, no one was swimming on the first level during our visit. We had few shots and proceeded on the real deal. The second level and the tallest of Cebu was majestic. It was indeed tall but the water current dropping is not strong thus people can swim. The local government managed to develop the area thus there are visible ropes across the basin of the waterfall for safety purposes. The gang didn’t indulge for a quick swim, instead, we had some quirky moments for the vlog and had some awesome photoshoot. This stop is not a tourist destination. In fact, this is just located along the road in the municipality of Barili. However, it offers this stunning view of the blue sea and the scenic cliffs that brought ourselves jumpin’ up and down while taking photos. The breathtaking scenery of the cliffs and the marvelous blue sea was enough to say that this destination is a must stop even for a few minutes. Lambug Beach is a popular public destination to Cebuanos with its white sand, refreshing sea breeze and turquoise sea water. The cheap rates of the accommodation and food even make it more worth visiting. Not mentioning the free area for tents along the beach front. We spent our lunch here and had an hour of FUNtastic swim by the beach. We played and laughed and had an amazing time that we don’t want to proceed on the next destination yet. However, we want to stick to our itinerary thus we headed to our final destination of the day. I’ve been to this destination many times and I would absolutely love to come back. I’m honestly pretty excited for this destination since I’ve never been into this grandiose waterfall. Cambais Falls, one of the wonderful waterfalls in Alegria along with Cancalanog and Montpeller. It is located 11.3 km from the highway thus a long and adventurous ride awaits. The 2-tier waterfall is undeniably worthy of its distance. The cold spring and the awe-inspiring view of the waterfall itself say it all. The wide pool of icy cold water made myself a happy kid and swam across. We went to its second level and the grandest of its tier has this high rocks for some YOLO diving. Of course, we jumped and shouted our hearts out to make it even more fun! By the way, there’s an entrance fee of P30 and the place isn’t really developed thus there are no view-destructing ropes in the waterfall. Lol! Our joyful moments in Cambais was over because the sun is setting. Hence, we headed to our accommodation by our hospitable and sweet host in Sibonga, Cebu. It’s indeed far from Alegria but we had an amazing night of socials (media) over a beer. Thanks to our host! Watch Day 1 Vlog here! An adventure-filled weekend would never be complete without a sumptuous food trip. We descended from the highlands of Sibonga where we spent the night to the other side of Cebu going to Argao. This humble eatery is getting attention in Social Media because it is dubbed as the “Best Local Barbecue in Town!”. We were excited to feed our dragons and the simple looking dishes did not fail us with its delectable tastes. Their chicken barbecue has its unique taste that made it as one of the best barbecues I ever tasted (no kidding!). Also, the tender meat and the hot soup of the pochero makes us crave for more rice. Carinderia ni Eton is just located along the highway and would unquestionably a must stop! The adventurous souls of the travel bloggers were not yet full-filled from the treacherous road to Cambais Falls that we embarked to the highest point of Cebu, Osmeña Peak in Dalaguete. Our van was so awesome to conquer the tough ascending roads to the foot of Osmeña Peak. Well, thanks to our tour services, Travels by Omnia Bellus, for making it possible. Casino Peak is also getting attention in social media for its scenic view with the resemblance of the chocolate hills in Bohol. It is also located in Dalaguete where the highest peak of Cebu is located. I personally like this peak even more than Osmeña Peak because of its rocky ridge which brought out my daring soul for an adrenaline-pumping venture. The refreshing winds and the breathtaking 360-degrees view of the Mantalongon Range are unquestionably worthy of the long drive. It would take you around 30 minutes of a hike from the foot of Osmeña Peak to Casino Peak but you can always opt in to ride a motorcycle taxi going directly to the foot of Casino. NO entrance fee as of this writting. Watch Day 2 vlog here! No destination is awesome enough if your buddies aren’t as adventurous as you are. These were made possible with the common surge of adrenaline and to our amazing tour services, Travels by Omnia Bellus, who were hospitable enough to accommodate our quite ambitious itinerary. 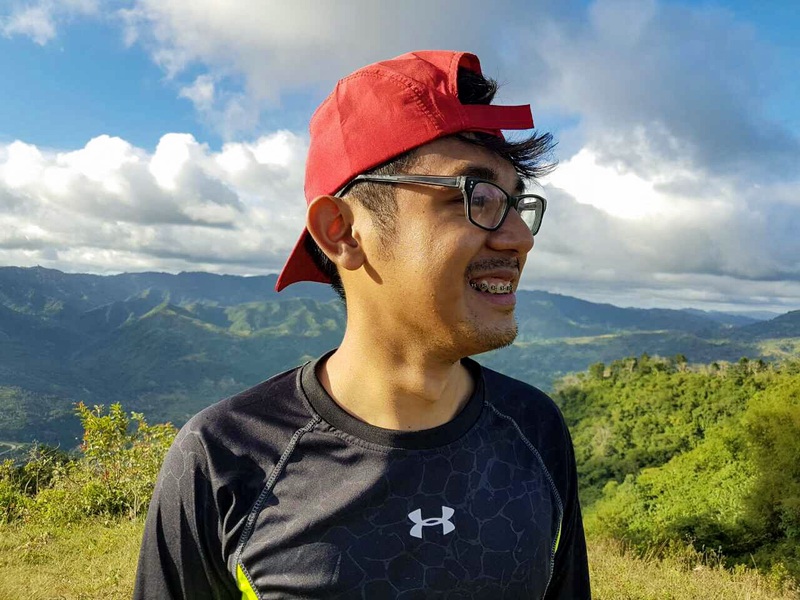 Imagine driving to the highlands of Dalaguete and Alegria along the treacherous and ascending road to get to the grandiose destinations like Cambais Falls and Casino Peak? That’s a bit scary for the van but it’s definitely worthy!